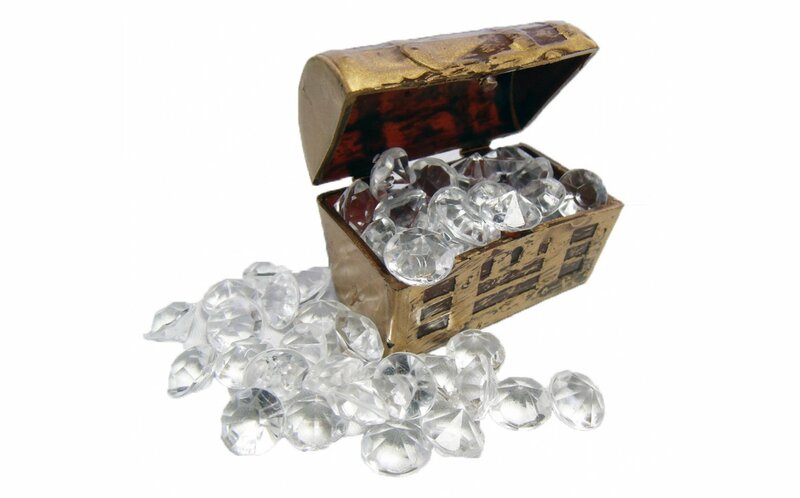 Miniature opening treasure chest comes filled to overflowing with miniature sparkling gems. For sand tray therapy. These are fun, and often used for buried treasure!